Reduce the dimensions of your photos. Is there a better alternative to CM Shrink My Photo? Is CM Shrink My Photo really the best app in Photography category? Will CM Shrink My Photo work good on macOS 10.13.4? CM Shrink My Photo needs a review. Be the first to review this app and get the discussion started! CM Shrink My Photo needs a rating. Be the first to rate this app and get the discussion started! CM Shrink My Photo is a simple-to-use application which helps you reduce the dimensions of your photos and thus saving precious disk space. It allows you to determine if you want to Resize by Pixel, Resize by Percentage or by the preset ratios. You can also adjust the JPEG Quality, set Progressive JPEG, Huffman Table Optimization and whether to remove the JPEG EXIF and IPTC Headers. 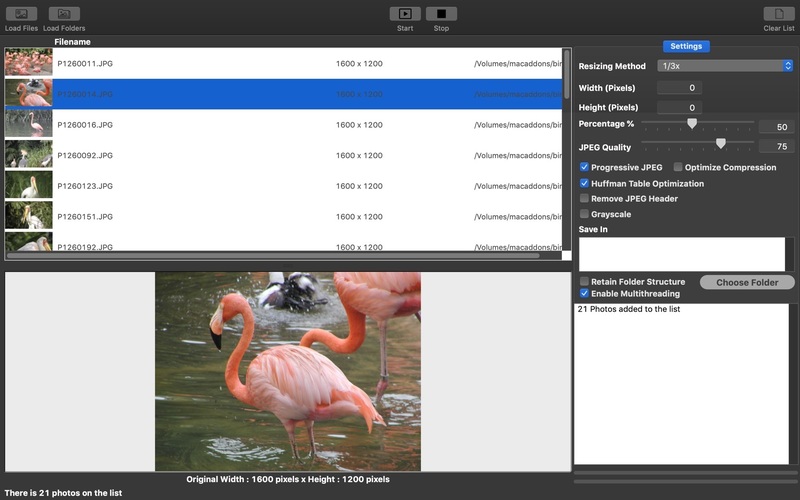 All of which would help you reduce file size of the JPEG photos. 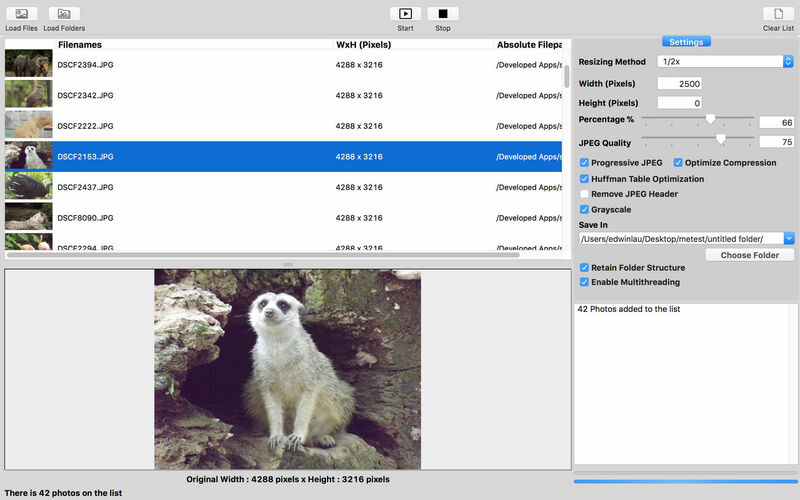 Resizing by Pixel allows you to set the Height and Width and have all photos resized to that dimension or retain the Ratio Aspect by setting either the Height or Width to 0. 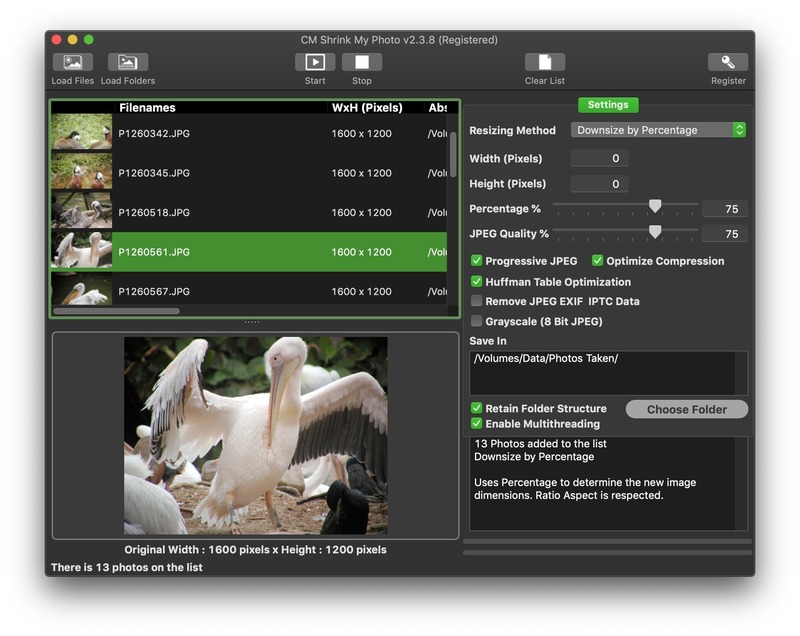 The multithreading feature speeds up processing by working on two photos at the same time. 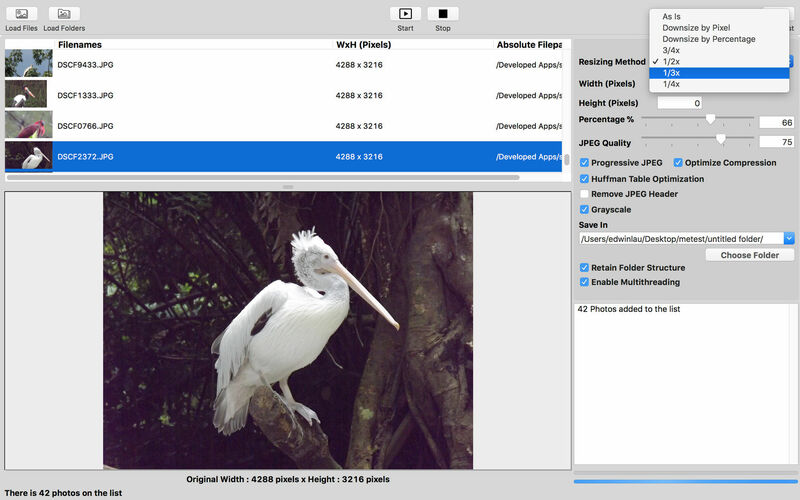 By using the Load Folders, you can have CM Shrink My Photo work on all the JPEG Photos from that folder and you also have the option to include all sub folders of photos. At the same time, the Retain Folder Structure option allows you to retain the pre-existing folder structures in the new location.